Lee Pressman (July 1, 1906 – November 20, 1969) was a labor attorney and earlier a US government functionary, publicly exposed in 1948 as a spy for Soviet intelligence during the mid-1930s (as a member of the Ware Group), following his recent departure from Congress of Industrial Organizations (CIO) as a result of its purge of Communist Party members and fellow travelers. From 1936 to 1948, he represented the CIO and member unions in landmark collective bargaining deals with major corporations including General Motors and U.S. Steel. According to journalist Murray Kempton, anti-communists referred to him as "Comrade Big." Lower East Side Historic District, New York City. Pressman was born Leon Pressman on July 1, 1906, on the Lower East Side of in New York City, first of two sons of immigrants Harry and Clara Pressman of Minsk. His father was a milliner on the Lower East Side of New York City. As a child, Leon survived polio. In his teens, the family moved out to the Bensonhurst section of Brooklyn. In 1922, he entered Washington Square College (absorbed into New York University), where classmates included Nathan Witt and possibly Charles Kramer (later, fellow AAA and Ware Group members), then transferred to Cornell University, where he studied under labor economist Sumner Slichter. Mr. Hiss: ... Lee Pressman was in my class at the Harvard Law School, and we were both on the Harvard Law Review at the same time. After graduation, he joined the law firm of Chadbourne, Stanchfield & Levy (currently Chadbourne & Parke) in New York City. (During the Great Depression, founder Thomas Chadbourne asserted that the capitalist system itself was "on trial" and became an early champion of both collective bargaining rights and profit sharing for workers.) There, he worked for Jerome Frank (future chair of the SEC). When Jerome left in 1933 to work in FDR's New Deal, Pressman joined a small firm called Liebman, Blumenthal & Levy, to handle Jerome's clients. In July 1933, Pressman received appointment as assistant general counsel of the Agricultural Adjustment Administration (AAA) by Secretary of Agriculture Henry A. Wallace. He reported to Jerome Frank, who was general counsel. The New Dealers saw the AAA as complementing the National Recovery Act (NRA – where fellow Ware Group member and lifelong Hiss friend Henry Collins worked). As they arrived at AA, two camps quickly arose: previously existing officials who favored agribusiness interests and New Deal appointees who sought to protect small farmers (and farm laborers) and consumers as much as agribusiness. Or, as Arthur M. Schlesinger, Jr. summarized the attitude, "There were too many Ivy League men, too many intellectuals, too many radicals, too many Jews." By December 1933, Frank had hired John Abt and Arthur (or Howard) Bachrach (brother of Abt's sister Marion Abt Bachrach) to develop litigation strategies for agricultural reform policies. In February 1935, Chester Davis fired many of Frank's cadre, including Pressman, Frank, Gardner Jackson, and two others. By April 1935, Pressman had been appointed general counsel in the Works Progress Administration by Harry L. Hopkins. A joint resolution dated January 21, 1935, called the Emergency Relief Appropriation Act of 1935, passed in the United States Congress and became law on April 8, 1935. As a result, on May 6, 1935, FDR issued Executive Order 7034, that essentially transformed the Federal Emergency Relief Administration into the Works Progress Administration. "Pressman set to work analyzing the budget request that would transform FERA into the WPA." By mid-summer 1935, Rexford G. Tugwell appointed him general counsel of the Resettlement Administration. Pressman split his time between the two agencies. However, by year's end (he recollected in a letter to Tugwell in 1937), he came to believe that New Deals changes occurred only when "major controlling financial interests" concurred or when "financial interests had been able to seize effective control of the code and manipulate it to enhance their power." Pressman left government service in the winter of 1935-36 and went into private law practice in New York City with David Scribner as Pressman & Scribner. Clients included the Marine Engineers Beneficial Association (MEBA), the United Public Workers CIO, and other unions. In his role as the CIO's general counsel, Pressman was influential in helping to stop the attempt to deport Communist Longshoreman's Union official Harry Bridges. He continued to interact with Bridges well into June 1948, as longshoremen continued to threaten strikes on the Atlantic and Gulf Coasts and Bridges remained president of the International Longshore and Warehouse Union. In June 1936, he was named a counsel of the Congress of Industrial Organizations (CIO—later AFL-CIO) for the Steel Workers Organizing Committee (SWOC—later, the United Steelworkers of America), appointed by union chief John L. Lewis as part of a conscious attempt to mobilize left-wing activists on behalf of the new labor federation. According to scholars, "One of Pressman's unofficial roles in the CIO was liaison between the CIO's Communist faction and its predominantly non-Communist leadership." In 1936-1937, he supported the Great Flint Sit-Down Strike. Industrial Espionage: ABA lawyers have worked with firms "that engage in industrial espionage"
Wagner Act: Shared ABA and NLG members declared this act "unconstitutional"
In May 1939, Pressman spoke on behalf of the CIO before the US Senate's Education and Labor sub-committee to support the "National Health Bill" (part of the Reorganization Act of 1939), sponsored by US Senator Robert F. Wagner. He attacked the American Medical Society's position against the bill as "reactionary," which he felt had kept the bill from going "far enough." From May through August 1939, Pressman attacked support for the "Walsh amendments" to the 1935 National Labor Relations Act (AKA the "Wagner Act"). In May 1939, when AFL president William Green supported the amendments on CBS Radio, the CIO's response, penned by Pressman, accused Green of colluding with the National Association of Manufacturers against not just the CIO but also the AFL, i.e., workers. In August 1939, Pressman appeared before the Senate Labor Committee to state that Green's support did not represent AFL rank and file. 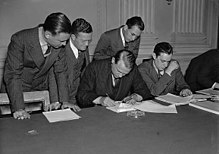 Also in August 1939, Congress passed the Hatch Act of 1939, which restricted political campaign activities by federal employees. A provision of the Hatch Act made it illegal for the federal government to employ anyone who advocated the overthrow of the federal government. The left-leaning United Public Workers of America (UFWA) immediately hired Pressman to challenge the constitutionality of the Hatch Act. For the last year affairs in the Washington office were in the hands of a group whose divided authority resulted in inefficiency, according to Messrs. Hillman and Murray. The latter, together with Mr. Lewis's old miners union associates, thought that Lee Pressman, young C. I. 0. general counsel, a tyro in union affairs, was wielding too much power. They became alarmed last Spring when it was rumored that Mr. Lewis was considering naming Mr. Pressman as general counsel to the miners union in place of the late Henry Warrum. Mr. Hillman and Mr. Murray also had other scores to settle with Mr. Pressman, who, they felt, had sought to protect Communists and party line followers during the internal dispute which split the United Automobile Workers. When Mr. Hillman and Mr. Murray prepared a statement attacking factionalism "and any other isms" in the auto union Mr. Pressman blue-penciled the reference to the "other isms." On pretexts of economy, more money for war purposes and similar catch cries, the reactionary financial interests and their political henchmen hope to reduce appropriations for the unemployed and for publish works, to emasculate labor and social legislation, and to restrict our civil liberties. The CIO ... calls for a determined advance in adapting social legislation to the needs of the whole American people. On January 14, 1940, John L. Lewis retired from the CIO presidency, and Philip Murray succeeded him. On May 18, 1940, Pressman again spoke on CBS Radio, this time on the "Wagner Act." In 1941, FDR appointed CIO vice president Sidney Hill to the Office of Production Management. Hillman lobbied for a mediating entity to OPM, and FDR created the National Defense Mediation Board (NDMB). In June 1941, NMDB and the United Auto Workers took over a North American Aviation factory during a strike. Later in June 1941, at a convention of the National Lawyers Guild in Chicago, Pressman criticized the Vinson and Ball bills before the US Congress, both of which he accused of a "long-range" plan whose aims included "destruction of workers' rights to organize, bargain collectively, and strike"; "destruction of labor organizations as the barrier to unchecked monopoly profits"; and "complete control of the national economy and the government by big business." Pressman: I'll answer the question all right, Mr. Hoffman. Representative Thomas can take care of himself. Hoffman: This boy is not going to tell me what to ask. I won't take this from Pressman. Remember that. Pressman: I'll remember all I say. Hoffman: You keep a civil tongue in your head. In September 1941, Pressman received a pin from pro-Communist Mike Quill, leader of the Transport Workers Union (TWU), a CIO member, during a TWU strike. Pressman then urged TWU strikers to stand up to the New York City government, as he had four years earlier in 1937 when the TWU first left the AFL for the CIO. In July 1942, the National War Labor Board sought advice on FDR's wage stabilization policy by increasing wages in the four "Little Steel" companies with a combined 157,000 employees by one dollar. CIO president Philip Murray and Pressman both supported the increase. In 1943, Gene Dennis came to me and Lee Pressman to first raise the idea of a political action committee to organize labor support for Roosevelt in the approaching 1944 election. Pressman approached Murray with the idea, as I did with Hillman. Both men seized upon the proposla with great enthusiasm. Thus, in 1943, as American spy Elizabeth Bentley resurrected the Ware Group (of which Abt had been a member), could not risk involvement with her or the group. Instead, the group reformed under Victor Perlo as the Perlo Group. In September 1943 at a conference of the National Lawyers Guild, Pressman praised labor for reducing strikes and promoting the war effort. He praised the National War Labor Board's policy for recognizing labor unions as institutions within the basic framework of our democratic society. He criticized "selfish blocs" in Congress that had opposed FDR's program. 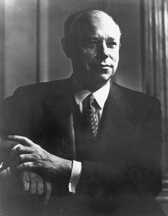 In 1944, Pressman participated in resolution of a labor dispute of a national case in basic steel, involving some six hundreds unions on strike. The six-person board consisted of David L. Cole and Nathan P. Feisinger for the government, Philip Murry of the CIO with Pressman as counsel for unions, John Stevens with Chester McLain of U.S. Steel for industry. During 1945–1947, Pressman worked with John Abt for the CIO to help create the World Federation of Trade Unions (WFTU) as successor to the International Federation of Trade Unions, itself seen as dominated by communist and socialist parties. During formation of the WFTU and in working with pro-Soviet American unions, "the active role played by" Pressman "in writing and rewriting convention resolutions helped to smooth possible conflicts." In April 1945, Pressman represented Harry Bridges before the U.S. Supreme Court in Bridges v. Wixon with the help of Carol Weiss King and her recruit, Nathan Greene who penned the brief. Later that month, Pressman joined Murray, Abt, and other CIO officials in Paris for a meeting with Soviet counterparts about the WFTU. In October 1945, he traveled to Moscow with a CIO delegation in the company of John Abt among others. On June 6, 1946, he contributed to a broadcast entitled "Should There Be Stricter Regulation of Labor Unions?" on America's Town Meeting of the Air show on NBC Radio with Sen. Allen J. Ellender, Henry J. Taylor, and Rep. Andrew J. Biemiller. This Congress has sought to stifle labor organization and at the same time has fought vigorously to assure expanded profit levels through tax and price policies. It has resisted any effort to lighten the tax burden on the lower income groups, but has acted swiftly to remove the excess-profits tax on corporations while continuing the carry-back provisions permitting gigantic tax rebates out of excess-profits tax payments of prior years. There is adequate protection in State courts for breach of collective bargaining agreements. Federal legislation will limit the protection labor unions now have under the anti-injunction statute. Litigation for alleged breach of contract is negation of collective bargaining and would merely clutter up the courts. He also asserted that labor unions do not constitute monopolies, compared with industrial combines. In June 1947, Pressman also wrote an influential critique of the Taft-Hartley Act, used by President Harry S. Truman as background material to justify his "bristling" veto of the measure. Co-sponsor, US Senator Robert A. Taft belittled Truman's veto: "The veto message covers the Pressman memorandum which the Senator from Montana (James E. Murray) put in the record and to which I replied. The veto message substantially in detail follows the Pressman memorandum ... point by point." Taft's accusation drew considerable attention for days. On July 4, the Washington Post's Drew Pearson noted "There've been considerable charges and counter-charges that CIO Counsel Lee Pressman ghost-wrote the hot White House veto message on the Taft-Hartley labor bill. Truth is that he had no direct hand in writing the message, though some of his words did creep in." Pearson explained that White House Assistant Clark Clifford had penned the veto with help from William S. Tyson, solicitor of the US Labor Department, and Paul Herzog, chairman of the National Labor Relations Board – and their "analyses" of the bill bore striking resemblance to Pressman's analysis." Later on June 24, 1947, Pressman appeared again on CBS Radio with Raymond Smethurst, general counsel of NAM to discuss the effect of the new labor law. In August 1947, he gave a strong speech to the International Union of Mine, Mill and Smelter Workers (IUMMSW) against the Taft-Hartley Act. In August 1947, Pressman and Reid Robinson called for a third party to support Henry A. Wallace for U.S. President during a convention of the Mine, Mill and Smelter Workers ("a Communist-dominated union"). By September, the right wing of the CIO, led by Emil Rieve, claimed they were about to drive left wingers "with Lee Pressman as the leading victim" out of the CIO during its Fall 1947 convention. In late 1947, Meyer Bernstein of the United Steel Workers of America wrote as an anti-communist against Pressman (amidst a rising tide led by Walter Reuther against pro-communists in the CIO). As of 1948, James I. Loeb, co-founder of both the Union for Democratic Action (UDA) Americans for Democratic Action (ADA), stated that Pressman was "probably was the most important Communist in the country ... he certainly was a Communist influence." In early 1948, Pressman led a group of like-minded colleagues in a pitch to CIO executives to abandon Truman and the Democratic Party for Henry A. Wallace and his Progressive Party. The pitch failed. Repercussions came quickly. In late 1947, housecleaning of the CIO from communists had already begun when Len De Caux was let go by Murray. In March 1948, Pressman's name appeared in the New York Times as legal counsel of the Furriers Joint Board. The thousand-member Associated Fur Coat and Trimming Manufacturers, Inc., had asked for a return to pre-WWII two-season wage scheme plus compliance with affidavits from non-communist union leaders per the Taft-Hartley Act. The latter condition put pressure on two CPUSA union leaders, Ben Gold and Irving Potash. "In a unique turn of events," Pressman cited a Taft-Hartley Act provision to block a lockout. He sued for a temporary injunction based on failure by employers to give 60-day lockout notice to workers, plus failure to provide thirty-day notification to Federal and state mediation services. He also helped get Potash set free on $5,000 bail while awaiting deportation hearings. Pressman continued private practice. He continued to represent the MEBA, e.g., over a restraining order against strikes on the Atlantic and Gulf Coasts in 1948. At the Supreme Court he represented Philip Murray (1886–1952), Scottish-born steelworker and American labor leader, first president of SWOC and USWA, and longest-serving president of the CIO. The Congressional proposal to prohibit payment of Federal wages to members of groups whose leaders refused to swear they were not Communists violated the constitutional rights of civil service workers. Mr. Pressman contended that the proposed ban would deprive civil service workers of freedom of speech, press and assembly under the first amendment, would violate their right to participate in political activity under the ninth and tenth amendments and would impose a test of "guilt by association" in contravention of the fifth amendment. One of the most basic doctrines in American jurisprudence is that individuals may not be prosecuted for acts except for those for which they are directly responsible. It is this doctrine which precludes any individual from being adjudged guilty because of association, rather than because of his own personal guilt. It is this doctrine which is directly violated by the proposed rider. On May 19, 1948, Securities and Exchange Commission official Anthon H. Lund accused Pressman of interfering in a lawsuit filed against the Kaiser-Frazer car manufacturing company in a Federal District Court in New York City. He specified that between February 3 and 9, 1948, Harold J. Ruttenberg, vice president of the Portsmouth Steel Corporation, had contacted Pressman for advice on "how to go about filing a stockholder's suite against Kaiser-Frazer." Later in May, during testimony before an SEC board of inquiry, Pressman declared he had "absolutely nothing to do with" the suit. "I have not been requested by anyone to suggest the name of a lawyer who would file a lawsuit against the Kaiser-Frazer Corporation." He stated, "I demand that I be given the opportunity to examine Mr. Lund under oath on the stand to determine who gave him that inaccurate information." The trial's examiner Milton P. Kroll informed Pressman, "You have been given the opportunity to state your position on the record. Your request is denied." After passage of the Mundt-Nixon Bill on May 19, 1948, at month's end Pressman submitted a long, undated statement called "The Mundt Control Bill (H.R. 5852), a Law to Legalize Fascism and Destroy American Democracy" as part of proceedings by the Senate Judicial Committee on "Control of Subversive Activities." During 1948, Pressman formed Pressman, Witt & Cammer; Bella Abzug started her career there. Since February 1948 or earlier, Witt's clients had included the Greater New York CIO Council. 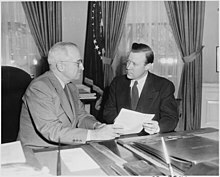 In September 1948, Pressman and Charles J. Margiotti tested the campaign-expenditures provision of the Taft-Hartley Act. Pressman and Margiotti each received $37,500 for their services – a fee CIO President Philip Murray called "outrageous, even for Standard Oil." Newspapers will doubtless continue to refer to Walter Reuther as the leader of the Right wing of the CIO, whereas, as every automobile manufacturer knows, Reuther is to the Right only in the sense of being profoundly pro-democratic and anti-Communist ... Instead of backing the Non-Communist Left as the group in Europe closest to the American progressive faith in combining freedom· and planning, the CIO, for example, maintained a disturbing silence over foreign affairs; and altogether too many liberals followed Communist cues in rejoicing at every Soviet triumph and at every Socialist discomfiture. The Wallace Doctrine of non-interference with Soviet expansion prevailed in these years. In recent months, the conception of the non-Communist Left has made headway in the United States. On the moderate Right, men like Senator Vandenberg and John Foster Dulles have recognized its validity. The fight against Communist influence in the CIO, culminating in Walter Reuther's victory in the United Auto Workers and the discharge of Lee Pressman as CIO general counsel, has finally brought the CIO side by side with the AFL in support of the Third Force in Europe. Schlesinger was carefully noting the entrance of Pressman into national politics. Pressman became a close adviser of Progressive Party 1948 presidential candidate Henry A. Wallace. In fact, when his former AAA boss Rexford Tugwell joined the Progressive Party campaign in early 1948, "he did so on condition that Lee Pressman would serve as its secretary." In March 1948, Pressman joined a 700-member national organization in support of Henry A. Wallace for U.S. president and Glen H. Taylor for U.S. vice president. By June 1948, the New York Times cited him as "general counsel" for the "National Labor Committee for Wallace." At the party's convention (July 23–25, 1948), Pressman served on the committee (under Rexford Tugwell, who had helped create and directed the AAA back in the early 1930s) to create a platform that the New York Times summed up as "endorsing Red foreign policy." At the time, the Washington Post dubbed Pressman, Abt, and Calvin Benham "Beanie" Baldwin (C. B. Baldwin) as "influential insiders" and "stage managers" in the Wallace campaign. However, he was reportedly "forced out because of his Communist line." Lee Pressman, who, for years, exerted a powerful left-wing influence as counsel for the CIO, is secretary of the Platform Committee, which will hold another executive session at 10 A. M. Friday before preparing its final draft for submission to the 2,500 delegates who are expected at the convention's closing session next Sunday. In August 1948, during the Progressive Party convention in Philadelphia, Rexford Tugwell, chairman of its platform committee found his self-style "old-fashioned American progressive" platform scrapped by a pro-Communist line platform spearheaded by Pressman. TIME magazine noted, "It now seemed obvious to Tugwell that the Communists had taken over." In the Fall of 1948, Communist affiliation continued to hound Pressman's campaign. A month before the election, Pressman might have held out hope, as the New York Times characterized him as a lawyer of "wide reputation" and a man with a "national reputation" and did not mention allegations in Washington. Days before the election, headlines in the Brooklyn and New York area were still appearing, like this from the Brooklyn Daily Eagle: "Pressman: Candidate for Congress, Long Active in Pro-Red Groups." Between 1948 and 1950, Pressman had represented "the estates of persons with heirs in Russia" of interest to the Soviets as well as affairs of AMTORG. By 1951, Pressman had only one major client left, the Marine Engineers Beneficial Association (MEBA). Its president, Herbert Daggett, retained Pressman at $10,000 (some $94,000 adjusted for 2017). In 1933, Pressman was one of the original members of the Ware Group. He was present at its earliest known meeting. Furthermore, surmised historian Allen Weinstein, as the "top-ranking AAA official in the Ware Group," he was most likely also a top recruiter of new members. Weinstein also noted that, according to Gardner Jackson, Pressman had recommended that the Nye Committee take Alger Hiss on loan. In 1935, he left the group and Washington, DC. Of his time there, Ware Group controller J. Peters said of Pressman that he was a "big climber" and had a "bad case of 'big-shotitis'." In 1936, when Pressman began work as general counsel for the CIO, Peters recommended against it, as Pressman was hard to control. However, Chambers encouraged him to take the position anyway. In 1936–1937, Chambers put Pressman in touch with Philip Rosenbliett and "Mack Moren" to travel to Mexico and buy arms for "J. Eckhart," a representative of the Loyalists in the Spanish Civil War. In 1939, former underground Communist Whittaker Chambers privately identified Pressman to Assistant Secretary of State Adolf Berle as a member of a so-called "Ware group" of Communist government officials supplying information to the secret Soviet intelligence network. In the 1940s, the FBI investigated Pressman and other Communists. On October 31, 1943, during a CIO convention in Philadelphia, the FBI recorded conversations of Roy Hudson, then CPUSA labor secretary. Hudson met with CIO union leaders (including Harry Bridges). On November 5, they heard identified the voice of a man whom Hudson instructed on Party demands for changes in the CIO platform: the name was Lee Pressman. Pressman's meetings continued with Hudson into September 1944. Historian Robert H. Zieger held that Pressman was no longer a communist by the time he joined the CIO. Instead, he claimed that Pressman was important to the CIO because he "retained close ties with the CPUSA." On August 3, 1948, in testimony under subpoena before the House Committee on Un-American Activities (HUAC), Chambers identified Pressman as a member of the Ware group. On August 4, Pressman characterized Chambers' testimony as "smearing me with the stale and lurid mouthings of a Republican exhibitionist who was bought by Henry Luce." By using Chambers, he claimed, HUAC sought to achieve three objectives: distract Americans from "the real issues" (civil rights, inflation, housing, Israel, and repeal of the Taft-Hartley Act), smear FDR's New Deal officials, and discredit Henry Wallace and his associates." On August 20, 1948, in testimony under subpoena before the HUAC, Pressman declined to answer questions regarding Communist Party membership, citing grounds of potential self-incrimination. During the superheated political environment which surrounded the Korean War, Pressman seems to have stepped back from his previous communist affinities. In 1950, Pressman resigned from the American Labor Party because of "Communist control of that organization," which was reported in the press and which signaled HUAC that Pressman was at last ready to talk. In my desire to see the destruction of Hitlerism and an improvement in economic conditions here at home, I joined a Communist group in Washington, D. C, about 1934. My participation in such group extended for about a year, to the best of my recollection. I recall that about the latter part of 1935— the precise date I cannot recall, but it is a matter of public record — I left the Government service and left Washington to reenter the private practice of law in New York City. And at that time I discontinued any further participation in the group from that date until the present. Like many another smart young man who followed the Communist line, sharp-eyed, sharply dressed Attorney Lee Pressman did very well for a long time. Har-vardman Pressman launched his leftward-turning career in Henry Wallace's AAA back in 1933, ended up as chief counsel of the CIO. He held the post for twelve years. But though he was a skilled labor lawyer, his fellow-traveling finally became too much for Phil Murray; 2½ years ago, Murray tearfully threw him out. On June 28, 1931, Pressman married the former Sophia Platnik. The couple had three daughters. He was a member of the International Juridical Association (IJA) ("probably through Shad Polier who was a classmate of mine at law school"), the National Lawyers Guild (NLG), and the New York Bar Association. According to biographer Gilbert J. Gall, Pressman, Witt, and others formed the "radical" wing of the NLG against a more moderate, liberal wing lead by NLG president Morris Ernst (also co-founder of the American Civil Liberties Union). I don't think today's generation has nearly as exciting a life as we did when we were in our twenties, but I suppose it's the times. It seems to me that the labor movement with all the strength it has nowadays should be able to organize several million unorganized workers. Pressman died at home at 26 Forster Avenue in Mt. Vernon, New York, on November 20, 1969. Sophia Platnik Pressman (Cornell '28) died on May 12, 1980, in Sandia Park, New Mexico. "Showing men in power how to get things done legally" was Pressman's special skill, asserts historian Gilbert J. Gall in a biography of Pressman. Died. Lee Pressman, 63, the C.I.O. 's legal counsel from 1936 until 1948, when his far-left politics finally cost him his job and career; of cancer; in Mt. Vernon, N.Y. Pressman never made any bones about his Communist leanings, often supporting the Moscow line. Yet as a union lawyer he was tops; he played a major role in negotiating the original C.I.O. contracts with such industrial giants as U.S. Steel and General Motors, and ably fought labor cases before the Supreme Court. Before taking up the question of the Wallace vote in the CIO Executive Board [in January 1948], it is pertinent to discuss the resignation of Lee Pressman as general counsel of the CIO. Less Pressman has exercised a dominant role in the CIO, thanks to his appointment by John L. Lewis. The main reason for his resignation, given by Pressman himself, was that he would be able to participate in the Wallace campaign for the presidency. Inasmuch as the CIO Executive Board voted in January 1948, three to one against Wallace's candidacy, Pressman's position became untenable. Long before John L. Lewis selected him as general counsel of the CIO, Lee Pressman was a member of the Communist Party. The fact of Pressman's Communist Party membership was first revealed in the newspapers by Nelson Frank in the New York World Telegram on November 25, 1946. Pressman did not challenge Frank's statement. Frank's revelation may be accepted as authentic, without fear of a challenge by Pressman. Just why Philip Murray submitted meekly to the rule of a known Communist for so many years is a difficult question to answer. Nevertheless, the fact is on the record. (Pressman's) resignation ... was one of the most significant defeats which the Communists have suffered in the CIO. Pressman's VENONA codename was "Vig." In 1946, VENONA reveals that Pressman hosted Mikhail Vavilov, first secretary in the Soviet embassy, at his home in Washington, DC, where he met fellow (former) Ware Group member Charles Kramer. In 1948, Anatoly Gorsky, former chief of Soviet intelligence operations in the United States, listed Pressman, code-named "Vig–Lee Pressman, former legal adviser of the Congress of Industrial Organizations" among the Soviet sources likely to have been identified by US authorities, as a result of the defection of Soviet courier Elizabeth Bentley three years earlier. In 1949, VENONA reveals that the KGB used Pressman to pay Victor Perlo for "analysis." In 1950, it reported "Vig–covering the activities of the Progressive Party." In 1951, Pressman served as "conduit" to pay funds to Harold Glasser. In 1951, VENONA reveals that Soviet intelligence in Washington reported to Moscow, "Vig has chosen to betray us." Following the fall of the Soviet Union, archival information on Soviet espionage activity in America began to emerge. Working in Soviet intelligence archives in the middle 1990s, Russian journalist Alexander Vassiliev discovered that Pressman, codenamed "Vig," had told only fragments of the truth to Congressional inquisitors in 1950. Working with historians John Earl Haynes and Harvey Klehr, Vassiliev revealed that Pressman had actually remained "part of the KGB's support network" by providing legal aid and funneling financial support to exposed intelligence assets. As late as September 1949, Soviet intelligence had paid $250 through Pressman to Victor Perlo for an analysis of the American economic situation, followed by an additional $1000 in October. ^ a b c d e f g h i j k l m n o p q r s t u v w x y z aa Gall, Gilbert J. (1998). Pursuing Justice: Lee Pressman, the New Deal, and the CIO. SUNY Press. pp. 6–12 (birth, childhood, schooling), 14–16 (Harvard), 17–18 (Chadbourne), 18–20 (IJA), 20 (Witt), 21 (Liebman, Blumenthal & Levy), 23–34 (AAA, Abt, Bacharach), 32 (skill), 34–43 (Ware Group), 43–44 (NYC), 46–231 (CIO years 1936–1948), 60–62 (Peters, Chambers recommendations), 63–71 (Flint), 92–93 (TWU), 114–115 (NLG radicals), 125 (CBS radio Jan 1940), 135–136 (NDMB and NAA strike), 175–178 (Bridges v. Wixon), 183–184 (CIO-PAC), 187–189 (FBI CPUSA), 192–197 (WFTU), 209 (NBC June 1946), 213–215 (IUMMSW ), 264 (Comrade Big), 302–303 (MEBA). Retrieved 5 September 2017. ^ a b c d e f Marion Dickerman and Ruth Taylor (eds. ), Who's Who In Labor: The Authorized Biographies of the Men and Women Who Lead Labor in the United States and Canada and of Those Who Deal with Labor. New York: The Dryden Press, 1946; pg.286. ^ a b c d e Chambers, Whittaker (1952). Witness. Random House. pp. 346, 624. ISBN 0-89526-571-0. ^ a b c d e f g h "Lee Pressman, Labor Lawyer Ancl Ex-C.I.O. Counsel, 63, Dies; Former Negotiator in Union Contracts Served as Aide to Agriculture Secretary". New York Times. 21 November 1969. Retrieved 11 June 2017. ^ a b c d e f "End of the Line?". Time. 16 February 1948. Retrieved 19 March 2017. ^ a b c d e f g h i j k l m n o p q r s t u v Klehr, Harvey; Haynes, John Earl; Vassiliev, Alexander (2009). Spies: The Rise and Fall of the KGB in America. With John Earl Haynes and Harvey Klehr. New Haven, CT: Yale University Press. pp. 282 (Pressman dinner for Kramer), 425–428. Retrieved 19 March 2017. ^ a b c d e f g Seigel, Kalman (18 October 1948). "Race for Congress Lively in Brooklyn: Multer and Pressman Followers Well Organized in Fight Over Former's Seat". New York Times. p. 13. Retrieved 18 March 2017. ^ Kempton, Murray (1955). Part of Our Time: Some Ruins and Monuments of the Thirties. Simon and Schuster. pp. 74, 79. Retrieved 14 June 2017. ^ "Here's Proof of Communist Control of New 'Progressive' Party" (PDF). New York: Counterattack: Facts to Combat Communism. 30 July 1948. p. 7. Retrieved 14 June 2017. ^ Newman, Roger K. (2009). The Yale Biographical Dictionary of American Law. Yale University Press. ^ "Hearings regarding Communist espionage in the United States Government". Archive.org. 5 August 1948. Retrieved 23 May 2015. ^ "WEALTHY ATTORNEY CLAIMED BY DEATH NEW YORK". Big Spring Daily Herald p. 4. June 16, 1938. ^ a b c d "Hearings regarding Communist espionage in the United States Government". Archive.org. 28 August 1950. p. 2845 (Communist group) 2850 (met Ware), 2860 (started law practice). Retrieved 26 May 2015. ^ a b Weinstein, Allen (1978). Perjury: The Hiss–Chambers Case. Knopf. ISBN 0-394-49546-2. ^ Roosevelt, Franklin D. (May 6, 1935). "Executive Order 7034 - Creating Machinery for the Works Progress Administration". The American Presidency Project. Online by Gerhard Peters and John T. Woolley. Retrieved 2016-02-27. ^ a b Raskin, A. H. (17 May 1948). "Union Heads Plan Mass Lobby Move: United Public Workers to Take 500 Delegates to Washington if Senate Debates a Bill". New York Times. p. 12. Retrieved 18 March 2017. ^ "'Disaster' is Seen in a Ship Walkout: Declaration by Taylor Draws Heated Denial by Curran – Pier Strike Threatened". New York Times. 8 June 1948. p. 51. Retrieved 19 March 2017. ^ Hearings Regarding Communism in the United States Government — Part 2, pg. 2849. ^ "Bar Association Assailed by CIO: Lee Pressman, Labor Counsel, Cites Mooney Case and Industrial Espionage". New York Times. 7 August 1938. p. 13. Retrieved 13 June 2017. ^ Goldstein, Political Repression in Modern America: From 1870 to 1976, 2001, p. 244. ^ Stark, Louis (17 October 1939). "Swift Red 'Purge' Planned by Lewis: Aims to Have CIO Cleared of Communist Influence in Year, Labor Circles Hear". p. 14. Retrieved 13 June 2017. ^ CBS Program Book. Columbia Broadcasting System. February 1940. p. 49. Retrieved 14 June 2017. ^ "This week in history: January 11–17". World Socialist Web Site. January 2010. Retrieved 14 June 2017. ^ CBS Program Book. Columbia Broadcasting System. June 1940. p. 32. Retrieved 14 June 2017. ^ "Pressman Assails Curb on Strikes; Assails Vinson and Ball Bills as Aimed at Destruction of Labor's Rights". New York Times. 1 June 1941. p. 35. Retrieved 12 June 2017. ^ Abt, John; Myerson, Michael (1993). Advocate and Activist: Memoirs of an American Communist Lawyer. University of Illinois Press. p. 99. Retrieved 5 September 2017. ^ Olmsted, Kathryn S. (2002). Red Spy Queen: A Biography of Elizabeth Bentley. The University of North Carolina Press. p. 65. Retrieved 5 September 2017. ^ Cole, David L.; Hess, Jerry N. (20 September 1972). "Oral History Interview with David L. Cole (1)". Harry S. Truman Library & Museum. Retrieved 23 August 2017. ^ a b Zieger, Robert H. (9 November 2000). The CIO, 1935-1955. Univ of North Carolina Press. pp. 38 (no longer), 253–254 (CPUSA ties), 264 (WFTU). Retrieved 31 July 2017. ^ Tower, Samuel A. (18 March 1946). "CIO Group for Aid to Russia as Way to Build Faith in U.S." New York Times. pp. 1, 4, 5. Retrieved 22 November 2016. ^ "Should There Be Stricter Regulation of Labor Unions?". National Archives. 6 June 1946. Retrieved 14 June 2017. ^ "Hatch Advocates Arbitration Law: Senator at Times Forum Urges Compulsory Strike Curbs–Pressman, Davis, Heard". New York Times. 8 January 1947. p. 17. Retrieved 14 June 2017. ^ "Bills in Congress to Bar Pay Suits Denounced by CIO: Pressman, Its Counsel, Insists Senate Portal Plans Imperial the Labor Standards Act". New York Times. 19 January 1947. p. 17. Retrieved 14 June 2017. ^ a b "Pressman Attacks Labor Curb Bills: CIO Counsel Tells Cincinnati Lawyers Most Measures Are Unnecssary or 'Unjustified'". New York Times. 30 January 1947. p. 5. Retrieved 14 June 2017. ^ "Message Like a CIO Memo Taft Declares in Senate: Pepper Attacks as 'Unworthy Insinuation' View That Truman Followed Argument by Lee Pressman Put in Record". New York Times. 21 June 1947. p. 1. Retrieved 14 June 2017. ^ CBS Program Book. Columbia Broadcasting System. Summer 1947. Retrieved 14 June 2017. ^ a b Rowe, James H. (4 July 1947). "Cooperation"--or Conflict? The Presidents Relationships with an Opposition Congress". (private to President Harry S. Truman and/or his campaign). pp. 131 (August), 134 (September). Retrieved 14 June 2017. ^ White, Ahmed (4 January 2016). The Last Great Strike: Little Steel, the CIO, and the Struggle for Labor Rights in New Deal America. University of California Press. pp. 108 (SWOC), 153, 159, 258, 262, 263 (Army), 321n4. Retrieved 13 August 2017. ^ Loeb, James I.; Hess, Jerry N. (26 June 1970). "Oral History Interview with James I. Loeb". Harry S. Truman Library & Museum. Retrieved 21 August 2017. ^ "CIO Names General Counsel". New York Times. 5 March 1948. p. 7. Retrieved 18 March 2017. ^ Stark, Louis (6 March 1948). "Labor Rights Curb Legal, Court Told: Attorneys Back Taft Act's 'Incidental' Freedom Limit -- CIO Case in Advisement". New York Times. p. 7. Retrieved 18 March 2017. ^ "Fur Closing Voted to Force Contract: Employers Plan Halt April 2 -- Ask 2 Pay Rates, Union Anti-Communist Pledge". New York Times. 24 March 1948. p. 29. Retrieved 18 March 2017. ^ "Potash Set Free on Bail of $5,000: Communist Had Been on Hunger Strike Pending a Ruling in Habeas Corpus Case". New York Times. 4 March 1948. p. 7. Retrieved 18 March 2017. ^ "Arguments Heard in Ship Strike Ban: Unions Challenge Court Power but Government Counsel Contends Act Is Legal". New York Times. 19 June 1948. p. 29. Retrieved 18 March 2017. ^ "Broad Results Predicted". New York Times. 22 June 1948. p. 14. Retrieved 18 March 2017. ^ "Ruling on 5 Aliens Delayed by Court: Alleged Communists at Liberty on Bail as Judges Weigh Plea in Deportation Cases". New York Times. 11 March 1948. p. 13. Retrieved 25 March 2017. ^ Cloke, H. Walton (27 May 1948). "Steel Man Levels 'Vilification' Cry: Portsmouth Phone Calls Data Given by SEC 'Misinformer' in Kaiser Case, He Avers: Stirs Uproar in Hearing". New York Times. p. 37. Retrieved 18 March 2017. ^ Cloke, H. Walton (27 May 1948). "Pressman Denies Kaiser Suit Link: Contradicts Testimony of SEC Aide That He Was Consulted as to Lawyer for Action". New York Times. p. 37. Retrieved 18 March 2017. ^ "Control of Subversive Activities: Hearings Before the Committee on the Judiciary (United States Senate) on H. R. 5852". US Government Printing Office. 31 May 1948. pp. 436–443. Retrieved 12 July 2017. ^ "National Affairs: Never Again". TIME. 20 September 1948. Retrieved 15 December 2018. ^ a b Schlesinger, jr., Arthur M. (4 April 1948). "Not Left, Not Right, but a Vital Center: The Hope of the Future Lies in the Widening and Deepening of the Democratic Middle Ground". New York Times. p. SM7. Retrieved 25 March 2017. ^ Gall, Gilbert J. (1999). Pursuing Justice: Lee Pressman, the New Deal, and the CIO. SUNY Press. p. 236. Retrieved 19 March 2017. ^ "Committee to Set 3D Party Conclave: Formation of a 700-Member National Organization for Wallace Announced". New York Times. 26 March 1948. p. 16. Retrieved 18 March 2017. ^ "Wallace Assails U.S. Big Business: It and the Major Political Parties Are Undermining Our Future, He Says". New York Times. 23 June 1948. p. 16. Retrieved 18 March 2017. ^ Lawrence, W. H. (26 July 1948). "New Party Blocks Ban on Endorsing Red Foreign Policy: With Communists in Control, Platform Is Adopted Avoiding Any Criticism of Russia". New York Times. p. 1. Retrieved 18 March 2016. ^ Alsop, Joseph; Alsop, Stewart (25 July 1948). "Wallace Must Wonder Sometimes". Washington Post. p. B5. ^ Alsop, Joseph; Alsop, Stewart (28 July 1948). "Progressives Open Doors To Other Like-Minded Groups". Washington Post. p. B5. ^ Childs, Marquis (24 July 1948). "Calling Washington: Wallace's Stage Managers". Washington Post. p. 9. ^ "Nobody Here But Us Chicks". Time. 21 August 1950. ^ Weart, William G. (20 July 1948). "Wallace Backers Begin on Platform: They Name 74 to Committee Headed by Tugwell and Open Philadelphia Quarters". New York Times. p. 1. Retrieved 18 March 2017. ^ Lawrence Kestenbaum (ed. ), "Lee Pressman," Political Graveyard.com Retrieved August 9, 2010. ^ "Will Run for Congress On Brooklyn ALP Ticket". New York Times. 10 July 1948. p. 22. Retrieved 18 March 2017. ^ Pearson, Drew (8 July 1948). "Porter Guest on Truman Yacht". Washington Post. p. B15. ^ "1,700 Attend Rally to Fight Communism". New York Times. 17 July 1948. p. 4. Retrieved 18 March 2017. ^ "State CIO to Fight Pressman, Rogge: Hollander Voices Opposition to Candidates for Congress Backed by Third Party". New York Times. 11 July 1948. p. 5. Retrieved 18 March 2017. ^ "Kings Republicans to Aid Two Democrats To Insure the Defeat of Labor Candidates". New York Times. 16 July 1948. p. 4. Retrieved 18 March 2017. ^ Moscow, Warren (19 July 1948). "Tammany Majority Bloc Declines To Consider Withdrawing Valente: Bloc in Tammany Sticks". New York Times. p. 1. Retrieved 18 March 2017. ^ "Third Pary: Tugwell Out". Time. 30 August 1948. Retrieved 15 December 2018. ^ "Pressman: Candidate for Congress, Long Active in Pro-Red Groups" (PDF). Brooklyn Daily Eagle. 24 October 1948. Retrieved 19 March 2017. ^ "Annual Report of the Committee on Un-American Activities for the Year 1950". US GPO. 2 January 1951. p. 11. Retrieved 14 June 2017. ^ "National Marine Engineers Beneficial Association, Afl-Cio, and International Organization of Masters, Mates and Pilots, Inc., Afl-Cio v. National Labor Relations Board, National Labor Relations Board v. National Maritime Union, Afl-Cio, Rivers Joint Organizing Committee, National Marine Engineers Beneficial Association, Afl-Cio, and International Organization of Masters, Mates and Pilots, Inc., Afl-Cio, 274 F.2d 167 (2d Cir. 1960)". Court Listener. 13 January 1960. Retrieved 14 June 2017. ^ a b c Sakmyster, Thomas L. (2011). Red Conspirator: J. Peters and the American Communist Underground. University of Illinois Press. pp. 74, 76 (first known meeting), 78, 86, 88–89 (big-shotitis, CIO), 105, 175. 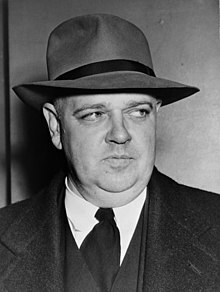 ^ Testimony of Whittaker Chambers Archived 2010-07-21 at the Wayback Machine, House Committee on Un-American Activities, Hearings Regarding Communist Espionage in the United States Government, August 3, 1948. ^ a b c "Communists: The Road Back". Time. 4 September 1950. ^ Hearings Regarding Communism in the United States Government — Part 2, p. 2844. ^ Hearings Regarding Communism in the United States Government — Part 2, pp. 2855-2856. ^ "Alumni Deaths". Cornell Alumni News. November 1989. p. 67. ^ "Milestones: Nov. 28, 1969". TIME. 21 November 1969. Retrieved 26 March 2017. ^ "The 1948 Campaign Documents: Report, "Communists and Pro-Communists for Wallace"". Harry S. Truman Library & Museum. 1948. Retrieved 22 August 2017. ^ "Gorsky Report: Dec 23, 1949". History News Network. 30 April 2005. Retrieved 18 March 2017. ^ Pressman, Lee (1975). The Reminiscences of Lee Pressman. Glen Rock, NJ: Microfilming Corp. of America. 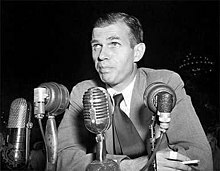 "Hearings Regarding Communist Espionage in the United States Government (Alger Hiss Case), Part 1 - Committee on Un-American Activities, US House of Representatives". Washington, DC: US Government Printing Office. 948. pp. 1022–1028. "Hearings Regarding Communism in the United States Government — Part 2 - Committee on Un-American Activities, US House of Representatives". Washington, DC: US Government Printing Office. 1950. pp. 2844–2901. Chambers, Whittaker (1952). Witness. Random House. p. 799. ISBN 0-89526-571-0. Gilbert J. Gall, "A Note on Lee Pressman and the FBI," Labor History, vol. 32, no. 4 (Autumn 1991), pp. 551–561. Gall, Gilbert J. (1999). Pursuing Justice: Lee Pressman, the New Deal, and the CIO. SUNY Press. Retrieved 19 March 2017. John Earl Haynes and Harvey Klehr, Venona: Decoding Soviet Espionage in America. New Haven, CT: Yale University Press, 1999. Klehr, Harvey; Haynes, John Earl; Vassiliev, Alexander (2009). Spies: The Rise and Fall of the KGB in America. With John Earl Haynes and Harvey Klehr. New Haven, CT: Yale University Press. p. 428. Retrieved 19 March 2017. Pressman, Lee (1975). The Reminiscences of Lee Pressman. Glen Rock, NJ: Microfilming Corp. of America. "Records of the Progressive Party". University of Iowa Libraries. June 2002. Retrieved 19 March 2017. Epstein, Marc J. (1972). The Progressive Party of 1948. University of Iowa Press. Retrieved 19 March 2017. "Morris Leopold Ernst: An Inventory of His Papers at the Harry Ransom Center". The University of Texas at Austin, Harry Ransom Center. Retrieved 10 June 2017.